Welcome to the Thanksgiving edition of NORML’s Weekly Legislative Roundup! I hope everyone had a happy and festive Turkey Day! In the U.S. Senate this week, it was announced that Senator Chuck Grassley (R-IA), Chair of the Judiciary Committee and avid prohibitionist, is stepping down from his position. As Chairmain, he refused to hold any hearings or permit votes on marijuana legislation. At the state level, Michigan’s new legalization law goes into effect on December 6, which means adults can legally possess and grow marijuana for personal use. And Massachusetts dispensaries began selling adult use marijuana this past Tuesday. Ned Lamont (D), Connecticut’s soon to be Governor, stated that marijuana legalization is one of his priorities for 2019. The president of the Senate supports this as well. 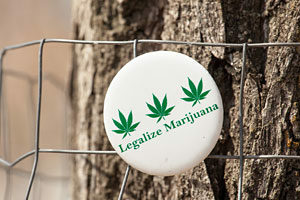 Democratic and Republican lawmakers think legalization is likely next year. And The Senate president in Vermont said he expects a bill regulating marijuana sales to be introduced shortly after the new year. At a more local level, the attorney general of Washington, DC said he supports regulating marijuana sales if and when the congressional rider blocking the city’s ability to do so is removed. People in Jackson County, Missouri will no longer be pursued by the county prosecutor in most instances of marijuana possession. Marijuana cases in Kalamazoo County, Michigan are also being dismissed. Door County in Wisconsin was considering a proposal to put marijuana advisory questions on the April 2019 ballot, but it was rejected. S2703 seeks to legalize adult marijuana sales and further expand New Jersey’s medical marijuana program. Update: S2703 will be heard in the Senate Budget and Appropriations Committee on Monday 11/26 at 10am. The measure would increase the number of licenses the Department of Health can issue to new providers in order to meet New Jersey’s increased patient demand. Update: S10 will be heard in the Senate Health, Human Services and Senior Citizens Committee on Monday 11/26 at 10am. The measures provide doctors the discretion to recommend medical marijuana to any patient for whom they believe it will provide a benefit. Update: S2426 will be heard in the Senate Health, Human Services and Senior Citizens Committee on Monday 11/26 at 10am.